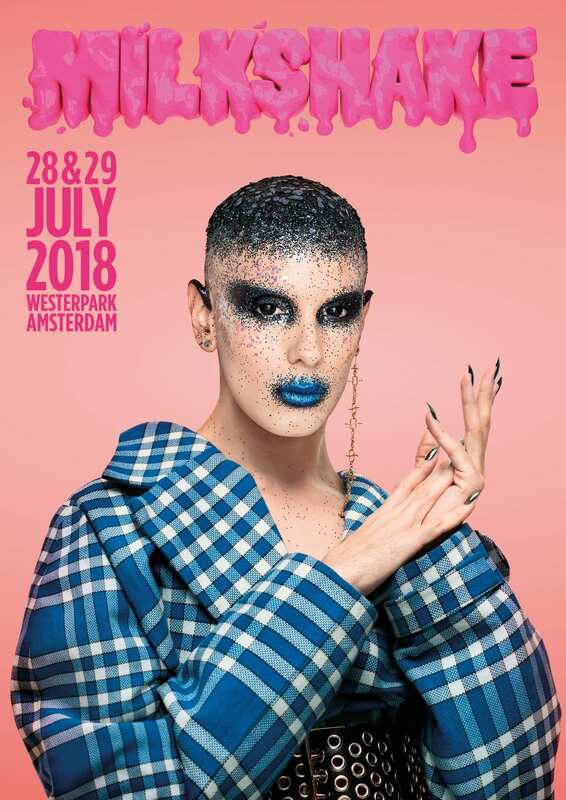 Amsterdam’s Milkshake Festival 2018 at Westerpark on 28th – 29th of July is just around the corner and is almost SOLD OUT according to the organisers. The last tickets are on sale for Sunday which is known as the gayest day of the Festival. If you want Saturday tickets then you might want to checkout Ticketswap. UPDATE: Milkshake is SOLD OUT. So checkout Ticketswap for last minute tickets! Also, don’t fall for fake ticket sellers according to the festival organisers. Use your imagination! This is one of the most open minded festivals in Europe. Anything from fetish wear (leather, latex, spandex, etc) is welcome along with flowing summer wear. Keep in mind that the weather can be unpredictable so it can be beautiful summer weather or pouring rain, so check the weather forecast before leaving the house! The festival grounds are mostly grass, so when it rains expect it to get very muddy so you might take that into account when selecting footwear. 😉 The organisers provide free ponchos (rain capes) when rain is predicted. There are tents also where you can dance the rain away. Lockers can be purchased before hand to store your extra layers in case of bad weather. Milkshake festival takes place in the Westerpark which has a huge open space. The festival is broken into several areas with stages and tents and each stage has it’s own theme. Be prepared to dance your a$$ off as some of the hottest DJs in Europe spins some hot tracks. Checkout some of the stages and line ups below. Milkshake festival is located at Westerpark which is easily accessible by public transportation. – From East/Centre: Tram 10 to Van Hallstraat; tramstop Limburg van Stirumstraat/ Van Hallstraat. – From West: stadsbus 21 to Central station; tramstop Van Hallstraat/Haarlemmerweg. – From East: Stadsbus 22 to Spaarndammerbuurt; busstop Haarlemmerplein. – From Central Station citybus 21 to Geuzeveld; busstop Van Hallstraat/Haarlemmerweg. The park is also easily accessible by bike and there are usually extra bike parking areas provided. Bikes & scooters can be parked at the Kanaalpromonade near the Gashoudervijver and the Marktplein. Both parking spaces can be found near the festival entrance. If you take an Uber or Taxi, there is a taxi stop at the entrance of the park at Slingelandtstraat. If you come by car, there is a car park at the corner of the park called Parkeergarage Westerpark.